Fire Emblem 4 is one of my favorite games for this reason. The first half of the game stars not a plucky young teenager, but a fully capable adult. Sigurd fulfills the stereotype of many Fire Emblem heroes in that he is of noble lineage, has blue hair, wields a sword, and acts in a stereotypically heroic manner, but he differs from his peers in that he is already in his mid-to-late 20's, which shows in that he is an already promoted unit on horseback by the time the game begins. This seems to be a rarity in Japanese games, and even in the case that we do get an adult, they are usually in their early 20's or so. Seeing Sigurd with his fully capable, already-trained self, who thought and acted like a rational adult and had down-to-earth relationships with the people around him, was very refreshing, especially in a series as vanilla as Fire Emblem. What are some other Japanese games that star fully functioning adults? Again, bonus points for anime games, or JRPGs. Yuri Lowell from Vesperia is an adult wasn't he? I'd count him. Also Kazuma Kiryu from Yakuza probably counts too. Do they also have to look the part? How about 30 year old that looks like no different from those teen characters albeit with longer legs? Lost Odyssey is a great example. The main character is old enough that he has a grown adult child and grandchildren. This one too, not just the main character, but your party is practically made up of moms and dads. Persona 2: Eternal Punishment has a cast of character who all have stable jobs. They are young adults (early to mid twenties), but adults nonetheless. Ace Attorney. Phoenix is a pretty normal guy. Also, Cyrus, H'aanit, and Olberic from Octopath should count as well. I don't know if it counts, as the face of the game fits into the optimistic youth who must grow into a hero schtick, but the majority of Brigandine's protagonists are adults (and you can choose which protagonist you play through the game as). Nier also has an old dude as the protagonist (in the Western release, at least). I want to say Makai Kingdom, but Idk if I can classify Zetta as a functional adult. He's a freakin book for the majority of the game. Well functioning? I always liked Grandia 3's Miranda. She was a mom who was an actual person, not a stereotype of a mom, very strong and capable but still cared about her son. That was clearly the best thing about the game. Ehhh, barely. He's 21 and acts more mature than the kids in the group, but he's still really young. Probably the most extreme example, as he's literally immortal and thousands of years old, lol. Persona 2: Eternal Punishment has a cast of character who all have stable jobs. They are young adults, but adults nonetheless. Hotel Dusk (&__&) - this is strongly recommended. I prefer coming of age stories though, to be honest. Yeah, Yuri is 21 (22 by the end of the game). It was seen as a revelation at the time for the Tales series because the protags were always in their teens. In Octopath Traveler, only one of the eight protagonists is a teenager, which was highly refreshing. Ophilia is 20, Alfyn is 21, Therion is 22, Primrose is 23, H'aanit is 26, Cyrus 30, and Olberic 35. Dante lives in a dump, has a ton of unpaid bills, eats pizza every day... you know what yeah you're right. Elma from Xenoblade Chronicles X. She is a competent 30 something year old woman. She’s a breath of fresh air compared to most other protagonists. Part of being a well functioning adult is obfuscating how fucked up you are and how much it hurts on the inside. Most of the characters in Persona do that well enough. Basically, don't drink at the office (often) and you are functioning well. I thought of another great JRPG series for this, OP. Shadow Hearts. Nearly every game in the entire series (including the very underrated Koudelka) features an adult cast of characters. How would you define "well functioning?" Most interesting protagonists have hang-ups and flaws. Not well-functioning, but other than Yuffie (who is 17), all the player characters in FF7 are in their 20s or older. I liked what I played of the Octopath Traveler demo, but im not sure if the full game is similar. There are games based on Golgo 13. Definition of well-functioning because he is an efficient death machine. Whats a well functioning addult? I think very few games feature "well functioning" adults in general lol. That would be boring at least in the traditional sense. That said, Claire Redfield from Resident Evil is my vote. 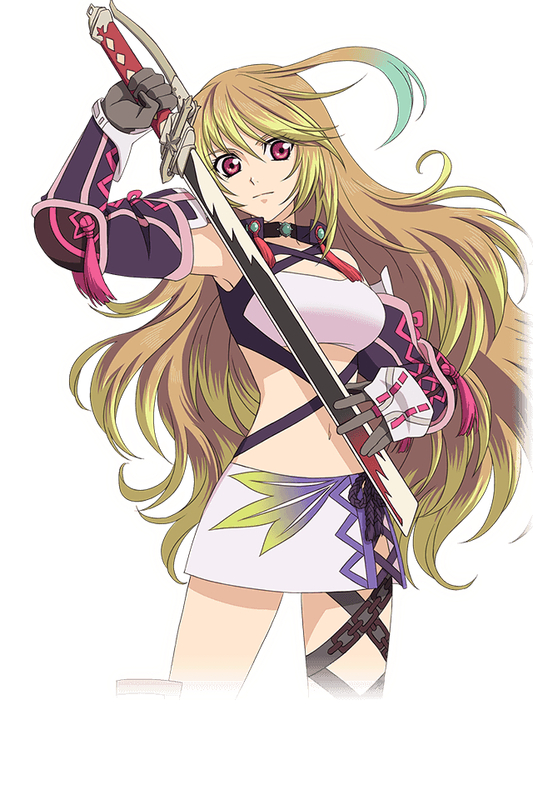 She's 20 during Tales of Xillia 1, and while part of it is being raised as a God substitute, she's probably the most stable anime JRPG protagonist, both mentally and emotionally. No kind of revelation can shake or faze her, and she has a single minded dedication to follow through with what she thinks is right, while also being flexible in understanding that "righteousness" is relative.